Michael Ambrose, founder and director of DocNetwork, earned his M.D. from the University of Michigan Medical School, completed a Pediatrics residency at the University of Michigan’s C.S. Mott Children’s Hospital, and is a board certified pediatrician. While in medical school, Michael drew from his experience as a longtime summer camp participant and camp staff member, as well as his growing knowledge of pediatrics, to develop software that would improve efficiency and maximize safety at camp. Michael launched CampDoc.com in 2009 to reach camps across the country facing challenges with pen-and-paper systems to track camper and staff healthcare needs. 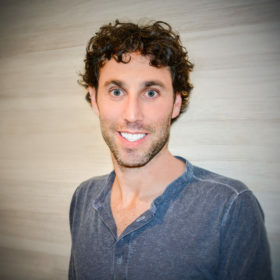 In 2013, Michael launched ChildCareDoc.com and SchoolDoc.com. Michael is an active member of the American Academy of Pediatrics, and has published and presented studies on camp and school health at conferences for the American Academy of Pediatrics, the World Association for Disaster and Emergency Medicine, the Society of Academic Emergency Medicine, and Pediatric Academic Societies. Michael been involved in camp and school health for over 15 years and remains devoted to creating innovative solutions for camps and schools. At DocNetwork, Michael works with key industry partners and ensures that business strategy aligns with the company vision. DocNetwork offers the most comprehensive solution to help ensure the health and safety of children while they are away from home. The DocNetwork suite includes its flagship electronic health record, as well as online registration, travel and emergency medical insurance, discounted medical supplies, and emergency email and text message alert communication tools. A collaborative effort between doctors, nurses and directors, DocNetwork helps manage health forms, allergies, medications, immunization records, and illness/injury tracking for over 1 million children from over 1,000 camps, child care and schools across the world. For more information about DocNetwork, please visit www.docnetwork.org. Learn more about career opportunities at DocNetwork on the company’s career page.